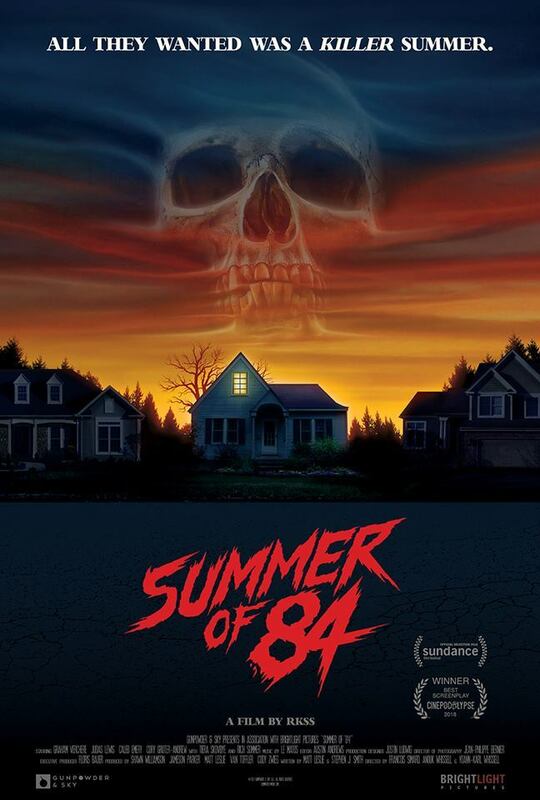 John’s Horror Corner: Summer of 84 (2018), a reimagined Disturbia meets a solid Stranger Things 80s score. MY CALL: Equal parts nostalgic and endearing, with the throwback soundtrack being the best things about this film. Everyone on the internet is saying “if you love Stranger Things then you’ll love this.” Well I LOVED Stranger Things, and I thought this was nothing particularly special. Not bad. Enjoyable even. But I’d only recommend it for seekers of Horror Lite. 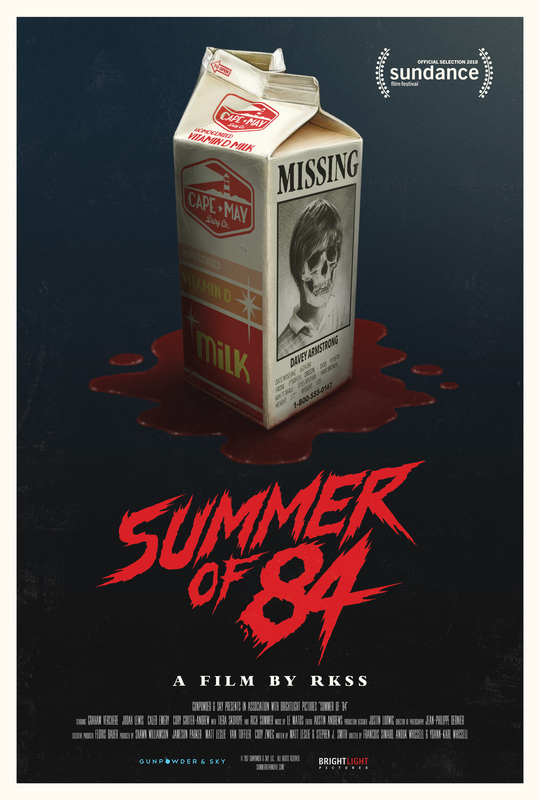 MOVIES LIKE Summer of 84: The first thing that comes to mind is Disturbia (2007). And for something heavier, check out the Losers Club kids in It (2017). From its first minute the soundtrack mentally delivers me into the Stranger Things (2016-17) early-80s-universe. The scoring is perfect, and our 80s teens feel tropishly credible as they verbally prattle over going to second base, masturbation, crushes and general insecure pubescent banter. Young conspiracy theorist Davey (Graham Verchere; Fargo) suspects that a series of teen murders are all linked, and that his police officer neighbor Wayne (Rich Sommer; GLOW) is the culprit! With the help of Eats (Judah Lewis; The Babysitter), Woody (Caleb Emery; Goosebumps) and Curtis (Cory Gruter-Andrew; Okja, The 100), they begin to investigate their suspected serial killer neighbor. It’s cute. They do recon and all the private investigator stuff like staking out his house, learning Wayne’s schedule and habits, and eventually they graduate to breaking and entering. Of course, they get caught, get into trouble, but insist that their neighbor is the Cape May Killer. Is their suspect really the killer? François Simard, Anouk Whissell and Yoann-Karl Whissell (the directorial team that behind Turbo Kid) have succeeded in entertaining us, but I won’t call this film great. In some ways it’s very good, yet in many ways it’s just plain above average. If it wasn’t for all the talk about masturbation and impregnating teenage girls, this would otherwise feel like a very PG horror-beginner movie. It’s generally light-hearted and jovial until a throat is slit on-screen. But the kill is about as unintense as it could be—so we’ll call it PG-13-ish endeavor. It’s a lot like if Goosebumps did a more serious slasher movie. I enjoyed this film, I want to be clear about that. But it failed to live up to the reasons I thought I’d love it. As much as this smacks of Disturbia (2007)—directly recounting numerous scenes from the 2007 film—the acting is just okay, the pacing isn’t riveting (although the film, in general, isn’t terribly engaging or exciting outside of a few short scenes), and the photography was wholly unimpressive. 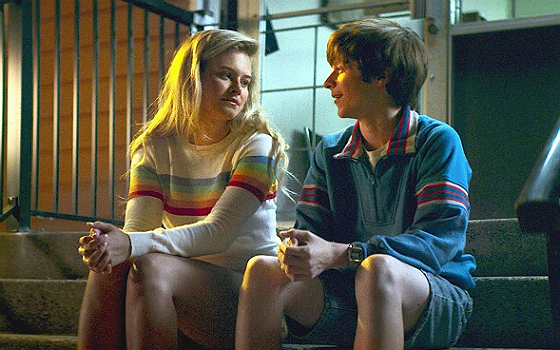 Moreover, Judah Lewis doesn’t come close to his flawless performance in The Babysitter (2017)—but maybe that’s not a fair comparison. Everyone is comparing this to Stranger Things but, to me, this feels circumstantial to the music, setting and locker-room talking youngsters. 84 captures not a fraction of the dread, creepiness, emotional intensity or character sincerity of Things (or Disturbia). Even the love interest with Davey’s neighbor Nikki (Tiera Skovbye; Supernatural, Riverdale, Once Upon a Time) felt drowned in weak writing, an absence of chemistry and likewise performances. It’s still sweet, though. A little bland, at times… but, honestly, quite endearing and nostalgic. I was pretty critical in this review, but it’s still a nice watch if you’re in the mood for some Horror Lite. I’d watch it around sunset as an evening opener, before getting into something heavier. ← John’s Horror Corner: Hereditary (2018), an emotionally heavy family therapy session and séance gone wrong.